Brennan did not explain what “major responsibility” Ryan and McConnell will “bear,” but as America’s former chief spy, Brennan probably has all kinds of Deep State ties, methods, and contacts at his disposal. Brennan’s threat was in response to President Trump’s ordering the Justice Department to look into the Obama administration’s spying on his 2016 presidential campaign, an unprecedented act that a number of anti-Trump outlets, like the Washington Post and New York Times, have confirmed. For whatever reason, this tweet inspired Brennan to warn Ryan and McConnell. 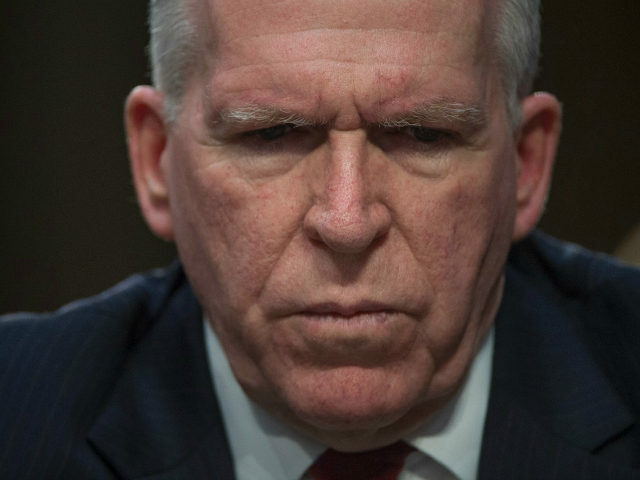 Brennan’s overall Twitter feed is filled with angry tweets lashing out at Trump and Republicans in general, and this is not the first time he has issued a threat. In March, Brennan blasted Trump directly. “When the full extent of your venality, moral turpitude, and political corruption becomes known, you will take your rightful place as a disgraced demagogue in the dustbin of history. You may scapegoat Andy McCabe, but you will not destroy America…America will triumph over you,” he angrily tweeted. Samantha Power, Obama’s former United Nations ambassador, quickly jumped in with a threat of her own. “Not a good idea to piss off John Brennan,” she tweeted.